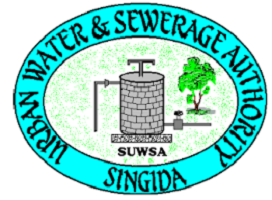 Background: Singida Urban Water Supply and Sanitation Authority (SUWASA) was established under section 3(I) of Cap. 272 of 1997 as repealed by section 60 of Water Supply and Sanitation Act No. 12 of2009. SUWASA is charged with the overall responsibility of operations and management of water supply and sanitation services in Singida urban within the Municipality.